SHANGHAI, April 10, 2019 /PRNewswire/ -- With the business scenarios escalating, there is more demand to upgrade technology. 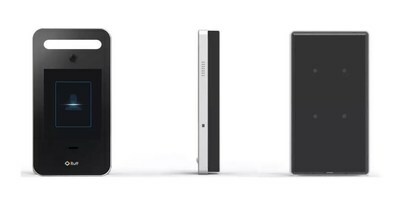 The new product, Ruff Face ID Module, a face tracking module Ruff launched, is based on IoT+ machine learning skills that can implant the original complex l AI algorithm into a 35mm*42mm chip. The AI chip provides neural network computing with the capacity for machine vision and speech recognition. 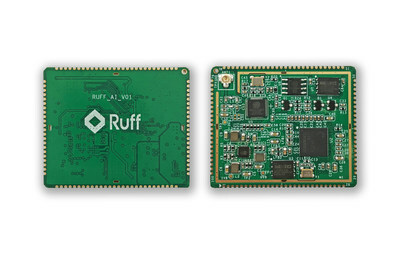 Ruff Face ID's AI chip enables off-line processing for edge calculations and advanced machine learning models for deep neural networks, including video frames, speech synthesis, time series data, and cameras, microphones, and other data generated by sensors or equipment. Ruff Face ID is able to handle real time data utilizing edge and cloud services to reduce cost, as there is not need to invest in additional hardware. Ruff Face ID has been featured in multiple articles including the 2019 "STARTUP IN SHANGHAI" International innovation and entrepreneurship events, reporting by East Media, Shangguan News, hello Zhangjiang, Wenhui News, Youth News and CCTV Mobile.